Black Agate is a dark and mysterious jet-black crystal that is associated with calm and inner strength. Found primarily in Africa and Brazil, each unique Black Agate stone may feature natural patterns created by bands of colors. These colors include stark white, glowing cream or lemon yellow, ember-orange, or vibrant ice-blue. Black Agates that have no pattern are an intense black, polished to a gleaming shine. Explore the collection of Ana Silver Co. jewelry, designed with the finest 925 Sterling Silver. 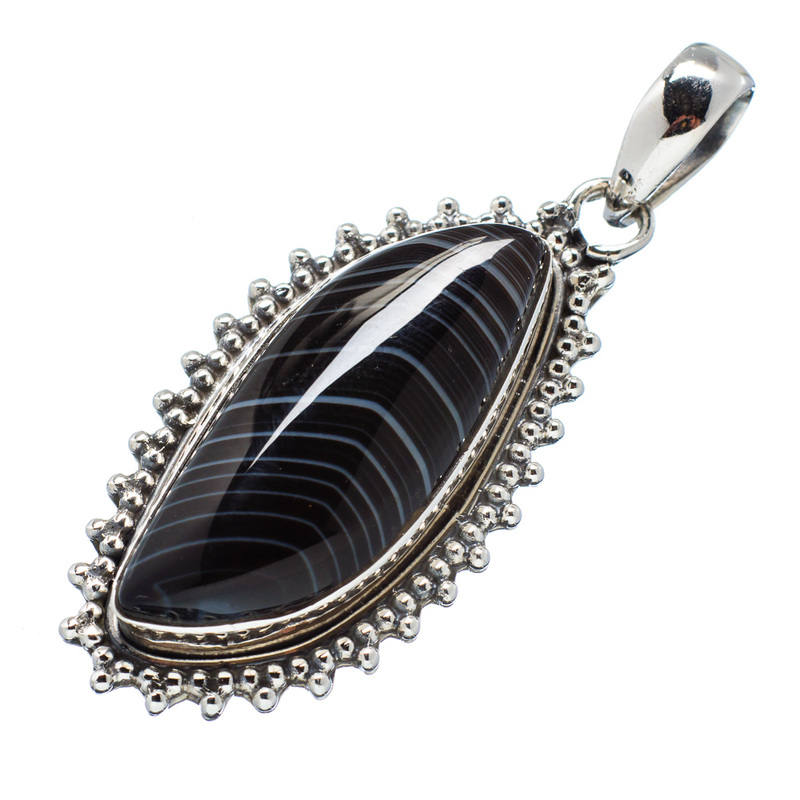 Our talented artisans handcraft a wide variety of unique Black Agate silver pendants, one-of-a-kind Black Agate silver earrings, and stunning Black Agate silver rings – perfect for formal occasions and casual events. 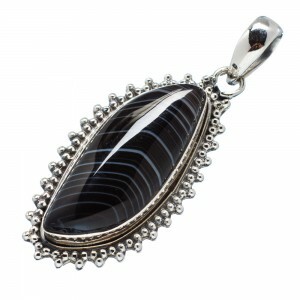 Black Agate Sterling Silver jewelry makes a wonderful gift!